Last year we created a very popular tool that is now used by operators and VAS related organizations world-wide. The Advanced Revenue calculation tool for VAS Service Subscription Clubs helps you to estimate potential revenue of your venture. We have now updated the tool and these are the most important improvements. We have added the possibility to enter the billing success rate in a separate field to give more accurate calculations. As you input your data and modify the numbers the result graphs will update automatically. You can easily see how big part each partner in a subscription club get of the revenue in the Total Revenue Graph. 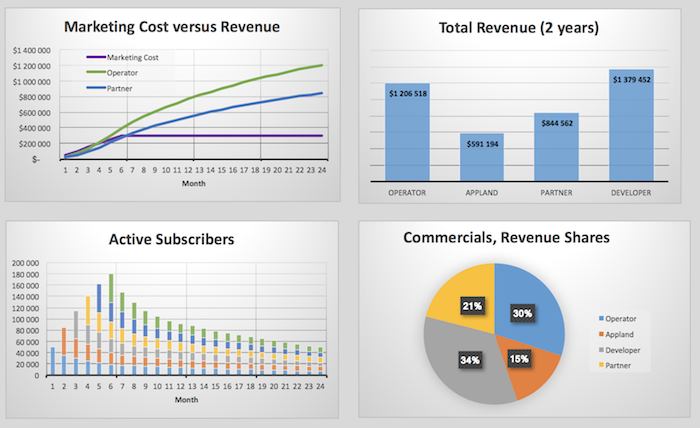 In the Marketing Cost versus Revenue graph you can compare your revenue with the marketing costs and where in time you will reach ROI. We created this graph to make it easy to play with the numbers and quickly see the result. 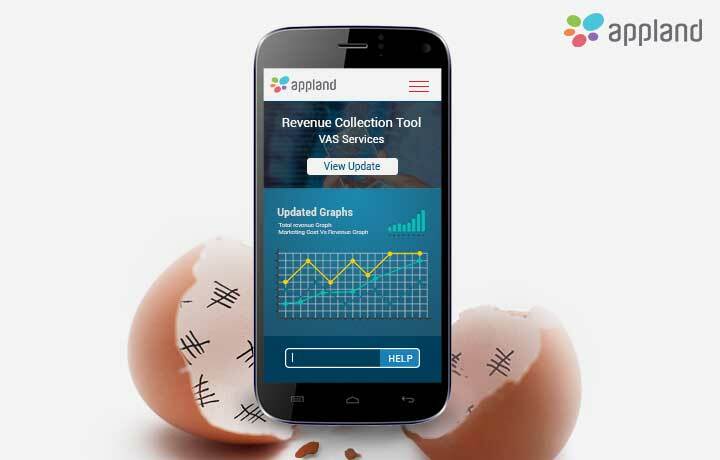 Download Appland’s Advanced Revenue calculation tool for VAS Service Subscription Clubs and see how profitable the club will be in your market.